We receive phone calls and emails every week from people looking to “de-risk” their portfolio and possibly add life insurance as a complement to their other investment and savings strategies. A comment that tends to trend among these good folks notes that while we’ve done a pretty decent job explaining the more esoteric aspects of life insurance (according to the comments) it’s still somewhat difficult to understand exactly how this works and why it’s beneficial. I can accept and agree with this comment and in an attempt to build out more comprehensive understanding I'd like to present a case study today that highlights some of the power behind life insurance when used as an asset in one’s portfolio. We’ll be publishing several more of these in the coming year. While we’ve been given permission to share these stories, names have been altered a bit to protect identity. We used a lump sum funding strategy for a whole life insurance contract to transfer $500,000 into a policy making heavy use of paid-up additions and blending ensuring max cash accumulation in the policy. Projected results were very attractive. By year 10 projected annualized return on Daniel’s money was 4.66% and by year 20 it was 5.72%. He was quite happy with these results and noted the difficulty he’d have in finding bonds to compete with returns like this. As you can see, A-rated corporate bonds are the best in terms of yield (excluding tax considerations) at 3.47% with 10 year maturities and 4.39% for 20 year maturities. But there’s more to understand. 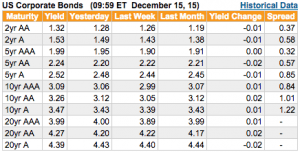 Bond yields, however, are the income produced by the bond. One cannot automatically reinvest bond income. One could take the bond income (if large enough) and buy new bonds at whatever the newly prevailing yield is (maybe higher or lower than the original bond). There is no easy way to compound bond earnings. The annualized return on the above referenced 10-year A-rated corporate bond for the same amount of money is 3.02% and for a 20-year A-rated corporate bond 3.20%. 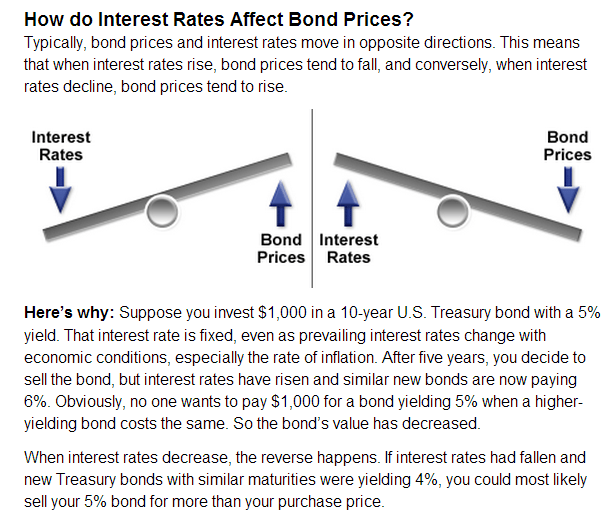 Principal Protection: If interest rates go up, his current cash value in the policy remains without loss due to the “bond seesaw.” In fact, not only is he protected against principal losses due to rising interest rates he will likely achieve higher returns as well as insurers buy up newer fixed interest investments and raise dividend rates due to higher investment income. Liquidity: If Daniel wants more cash than his bonds generate in income, he needs to either sell bonds or pledge them as collateral (generally at no more than 50% if their current market value). With life insurance, he has access to any fractional sum of his current cash value (generally up to 95-98% of current cash surrender value). He does not need to sell anything, nor does he need to go through a credit application and pay loan origination fees. Funding Flexibility: Though we set this policy up assuming a specific systematic movement of cash into the whole life insurance policy, Daniel can adjust this as necessary. He can even decide to place more money into the policy in later years if he desires and he doesn’t have to make those payments to the policy in large chunks as would be potentially necessary with direct bond purchases.To be clear though, once the initial $500,000 was placed into the policy, Daniel is under no obligation to place any additional money into the policy. Death Benefit: While not a huge benefit in his eyes the whole life policy definitely comes with a death benefit. While that death benefit may not be a major selling point at this stage, it’s existence opens up an array of options in later years. Daniel could leverage that death benefit to more freely spend other assets, use other financial tools like reverse mortgages with the plan to repay the loan, sell the policy for an amount between his cash value and death benefit, or use the policies accelerated death benefit to defray long term care expenses. Not to be all cliché or anything, but this statement is true. Life insurance offers an array of benefits that no other financial tool can accomplish. On top of all that, it’s a pretty spectacular tool purely for rate of return on your money. Add in the additional perks that it brings along, and you have a very unique and powerful financial tool. The policy used for Daniel was not a standard off the shelf policy, though. So please don’t assume that any plain old whole life policy will do. If you’d like more information on how this might work for you, please don’t hesitate to reach out to us. We’d be delighted to discuss with you.